Are you an aviation enthusiast and want to learn more about Airbus A380? If so, then read on to know more about this record-setting plane. Airbus A380 is quite famous these days due to many reasons. Besides being the world’s largest passenger plane, it is also the most luxurious airplane offering features like lounges, bars, first-class suites, showers and spas. The Airbus A380 is also a great aircraft for long-haul flights as it can travel to around 15000 km on a single trip. 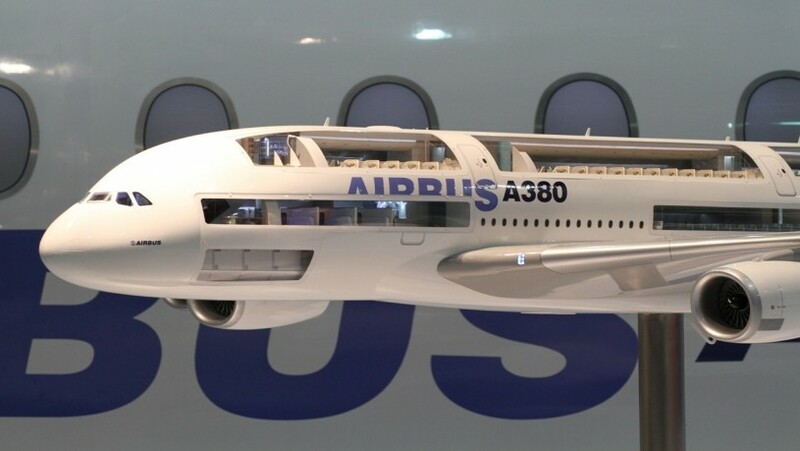 It is also exceptionally quiet for an airplane of its size thanks to the extensive research and development conducted prior to its commercialization. This huge airplane is also quite eco-friendly as it burns less fuel and releases less amount of carbon dioxide than other airplanes Thus, it is quite evident that the A380 is quite different from your regular aircraft. This double-deck airliner entered service in 2007 although it made its first flight in 2005. The first flight of Airbus A380 was with Singaporean Airlines. However, the aviation company having the most A380s in its fleet is Emirates. Lots of airline companies including Qantas and Lufthansa also have this aircraft in their fleets. In fact, the Saudi prince also placed an order for this plane for his personal use. When it was launched, airports had to be renovated to accommodate such a big plane. Due to its sheer size, it could not fit in the runways, which as result had to be widened. As stated earlier, the Airbus A380 is quite a luxurious plane due to its various features. All passengers get a 5-star experience when travelling on this luxurious plane. The seats and sleeping areas are quite spacious. There are various amenities that have been mentioned earlier make the experience memorable. The Airbus A380 has lots of setbacks and delays in its history. The research and development expenditure on this unique airline was quite high and the company is yet to cover it. During and post-recession, there have been many changes in the aviation industry including preference for leaner operations. The luxury of this airplane would be a misfit in this situation. Plus after the mid-air explosion of one of the engines on a Qantas air flight, Qantas has grounded all of its A380s due to these faults. Whether this record-setting aircraft will emerge victorious from these setbacks or we will witness another record in the form of biggest failure in the aviation industry is yet to be seen.